The Airship Akron in 1911. An interesting piece of aviation history is on its way to the Smithsonian. 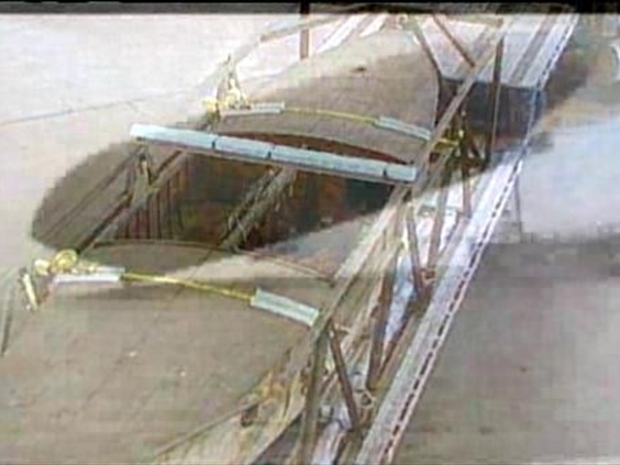 A lifeboat was attached to the bottom of the of the Goodyear blimp called the Airship Akron. 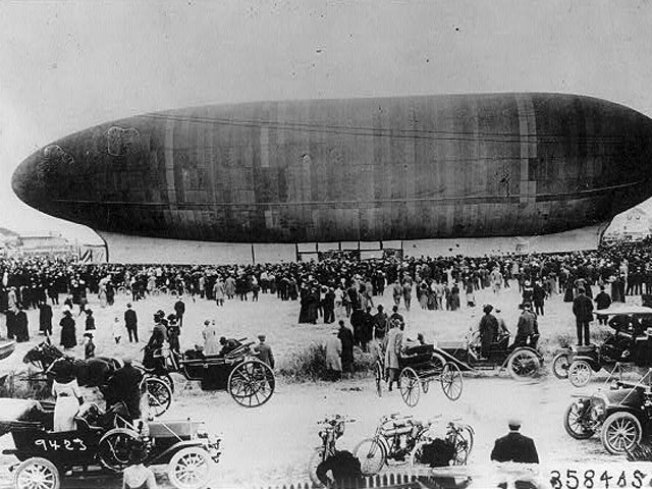 When the blimp tried to cross the Atlantic Ocean in 1911, it fell 2,000 feet into the ocean near Atlantic City. The lifeboat was the only major piece of the ship that survived. Now that lifeboat is headed to the Smithsonian Air and Space Museum. This is the first time the lifeboat has seen the light of day since 1912, when it went into storage with Goodyear in Suffield, Ohio. It will get some expert restoration and then go on display. Cantonrep.com reported that Tom Couch, of the Air and Space Museum, is delighted with this unusual addition to the Smithsonian. The lifeboat of the Goodyear blimp that crashed into the Atlantic Ocean in 1911 is headed for the Smithsonian to take its place in history. “It will have a place of honor in a section of the Steven F. Udvar-Hazy Center housing the Double Eagle II, the first balloon to fly the Atlantic, and the Concorde,” he said. It will be displayed at the annex of the Air and Space Museum in Chantilly, Va.